E1947 3 Pin C2 Programming Adapter | Locus Engineering Inc. 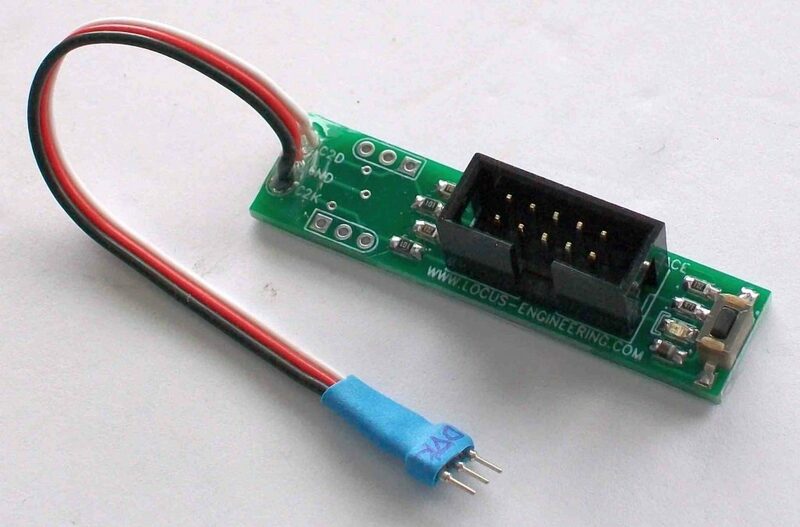 The E1947 3 Pin C2 Programming Adapter allows Silicon Labs™ microcontroller designs to use a small 3 pin connector for programming instead of the 10 pin IDC interface from the USB Debug Adapter. All isolation circuitry for the C2 data and C2 clock is included, as well as a reset switch and USB power good LED. This simplifies the target board to only a 3 pin programming connector for the C2 data, clock, and ground. The adapter includes a strain relieved cable with a 3 pin 2mm machined contact male header connector. The module is insulated to protect against minor electrical contact. Custom programming cables can be added at the spare connector areas on the board.